Maryland’s marijuana possession laws are a source of confusion for many people. 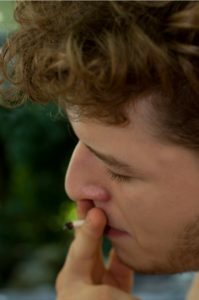 If you have been charged with possession of marijuana, it’s important to work with an experienced criminal defense attorney who understands the state’s drug laws and how to work them to your advantage. At the Law Office of Leon Geller, we have nearly three decades of experience watching drug laws evolve. Attorney Geller is a passionate advocate for the rights of young people and adults charged with drug-related offenses. If you’re facing a marijuana possession charge, we will help you defend your rights. As of 2014, the law in Maryland decriminalizes marijuana possession for small amounts of the drug. If you are caught with 10 grams or less of marijuana, you won’t be charged with a crime. However, you could still be subject to civil penalties, including fines up to $100 for a first offense and fines up to $500 for third and subsequent offenses. Of course, this means it is still a crime to possess more than 10 grams of marijuana. In fact, if you are arrested in possession of more than 10 grams of the drug, you could face up to one year in prison and fines up $1,000. A conviction also means a permanent criminal record, which can make it difficult to get a job, rent an apartment, or pursue certain career paths that require professional licensing. Furthermore, the law still makes it a crime to possess marijuana paraphernalia. Technically, this means you can face criminal prosecution for simply having rolling papers, pipes, and dime bags in your possession, if the prosecution believes the item(s) is to be used in conjunction with marijuana. Many marijuana possession charges come about due to traffic stops. One of the most effective ways to challenge these charges is to attack the legality of the stop, the search, and the arrest itself. In their eagerness to make an arrest at all costs, police officers sometimes violate citizens’ rights. When they do, they deserve to be held accountable for their actions. And when prosecutors rely on evidence that was unlawfully gathered, they deserve to lose – plain and simple. At the Law Office of Leon Geller, we make sure prosecutors prove every element of their case and back up every piece of evidence they present. We also question police officers about the reason behind their stop, any searches they conducted, and the details of your arrest. If you were stopped unlawfully, or the police conducted an unreasonable search of your car or person, Attorney Geller will work to protect your constitutional rights. The law in Maryland also makes exceptions for individuals who can prove they used marijuana to treat a legitimate medical condition. However, this part of the law is highly technical and requires a skilled criminal defense lawyer to present an effective defense. If you were arrested for marijuana possession, and you use the drug for medical purposes, don’t attempt to handle your case on your own. We can help you structure your defense in a way that reduces the charges against you or gets them dismissed entirely. Are you facing a marijuana possession charge in or near Rockville, Derwood, North Potomac, Darnestown, North Bethesda, Garrett Park, Kensington, Gaithersburg, Silver Spring, and Wheaton? We want to hear from you. Call us today at 301-309-8001 to get your free case evaluation. You can also reach us through email or by filling out our online contact form.